Halverson does a variety of projects which include schools, both public and higher education, medical facilities, historical renovations, sensitive data storage and churches. Below are some examples of recent Halverson work. Summary: This was a LEED Gold, Fast Track project. This project was just over 300,000 Square feet and has Lochinvar Commercial Condensing Boilers and Trane Water Cooled Helical Rotary Duplex Chillers. 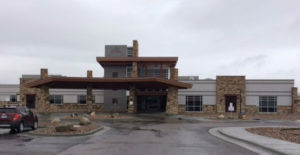 This distribution facility for IHC streamlines their distribution of medical supplies to 23 hospitals and 165 clinics in Utah and Idaho. 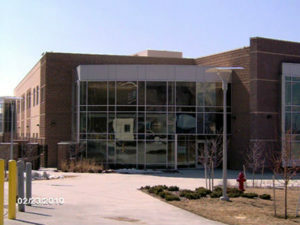 Summary: This New High School with 368,000 Square Feet, was built for Canyons School District. Because of the size of this project, BIM coordination was required for all sub-contractors and was a major contributing factor for success. 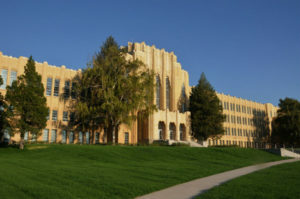 This High School has an Aerco Gas Fired Boiler System, 2 - Carrier Hermetic Centrifugal Liquid Chillers, 14 Temtrol Air Handling Units and 2 - BAC Cooling Towers. 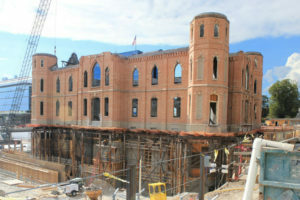 Summary: This historic renovation was initially the Provo Tabernacle, built in 1883. Everything but the outer walls of the building was ravaged by fire in 2010. Between the three areas completed for this temple there is a total of 226,739 Square Feet. This project has installed 4 - Aerco Condensing Gas Fired Boilers, 2 - Multi Aqua Air- Cooled Water Chillers and 2 - Daikin McQuay Centrifugal Chillers. Summary: This project was a renovation and addition to the current building. This building is unique as it is located within a mountain. The side has been carved out and the building is inside. The total square footage of this project was roughly 65,000 and owned by The Church of Jesus Christ of Latter-Day Saints. 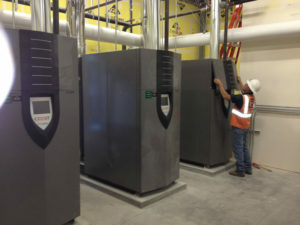 The renovation included 7 – Multistack Chillers and 6 – York Air Handlers with dehumidification. This system also has an RO system installed. 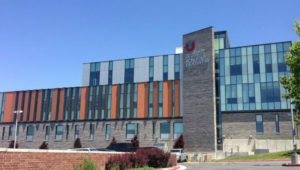 Summary: This LEED Silver project was renamed as the University of Utah Ray and Tye Noorda Oral Health Sciences Building. This building houses a dental clinic with oral surgery, pediatric dentistry, classrooms, lecture space, research and simulation labs and a study area. Equipment included in this facility: 2 – Aerco Condensing Gas Fired Boilers, 2 – Cleaver Brooks Steam Boilers, 2 – Huntair Air Handlers, a York Chiller and a Snow Melt System. New Construction classroom, labs and office space for a total sqare footage of 79,220. Summary: Summit is a community healthcare facility offering doctors that specialize in ear, nose and throat, Orthopedics, Radiology and Lab Services. This 80,000 square foot building has 2 – Lochinvar Commercial Condensing Boilers, 5 – Aaon Air Handling Units, a Aaon Air Cooled Glycol Chiller and a Snow Melt System. Summary: This 51,000 square foot building has 2 – Lochinvar Commercial Condensing Boilers, 5 – Aaon Air Handling Units, Snow Melt System and an Aaon Air Cooled Glycol Chiller. A Community Health Center that has private patient rooms and a fully equipped surgical area. Summary: A new 3 story outpatient surgery center specializing in orthopedics, sports medicine and physical therapy. This LEED Silver building has 80,950 SF that includes six OR’s, two Therapy Pools, an MRI and CT Room and Physical Therapy Space. To complete this project, the following equipment was used. 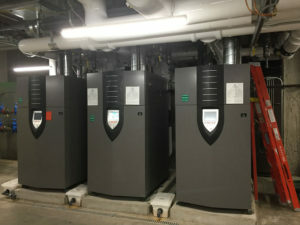 3 – Lochinvar Commercial Condensing Boilers, 2 – Miura Steam Boilers, 2 – York Rotary Screw Water Chillers, A Johnson Control Outdoor Central Station Air Handling Unit, 5 – York Custom Air Handlers and a Reverse Osmosis System. 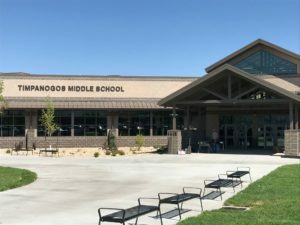 Summary: New Construction of a Middle School in Heber Utah that’s 144,186 square feet. 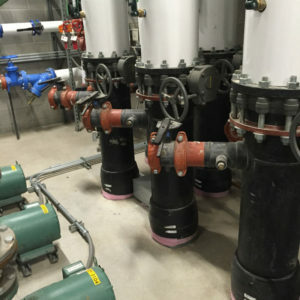 This project includes a total of 8 Air Handlers, 2 – Johnson Control and 6 – Alliance Air Products, 3 – Lochinvar Commercial Condensing Boilers and a York Air Cooled Screw Chiller. Summary: This project when finished, was renamed the Spencer Fox Eccles Business Building. This was a two-phase project in which Halverson participated. Total square footage for this project was 228,346 with 2 – Unitech Air Handlers and a High Temperature Water System. 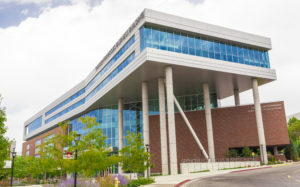 A LEED Silver project for energy modeling that went above the Utah High Performance Building Rating System. This project includes classrooms, labs, lecture hall, study space, café, and faculty and administration offices. Summary: State of the art Chilled Beam Cooling System. This building was originally built in 1920 and is on the National historic registry. The renovation project included 222,330 square feet of the building. Summary: New Construction of a Middle School in Herriman Utah that’s 200,064 square feet. 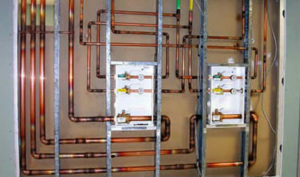 This project runs a Geothermal Heat Pump system. Summary: This project included building new facilities as the old was demolished. Complete mechanical, boiler chiller with central plant. The renovation when completed was of 259,000 square feet. 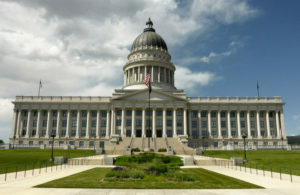 Summary: The Utah State Capitol was originally completed in 1916. A building total of 320,000 SF this project was a complete upgrade of mechanical systems and a seismic base isolation addition. This project was awarded the 2008 Best Mechanical/Electrical/Technology Project issued by Intermountain Contractor.